If you find yourself in Germantown this weekend, First Date's not a terrible idea for an actual first date. And Saturday midnight performance at Germantown Community Theatre promises to be ... different. 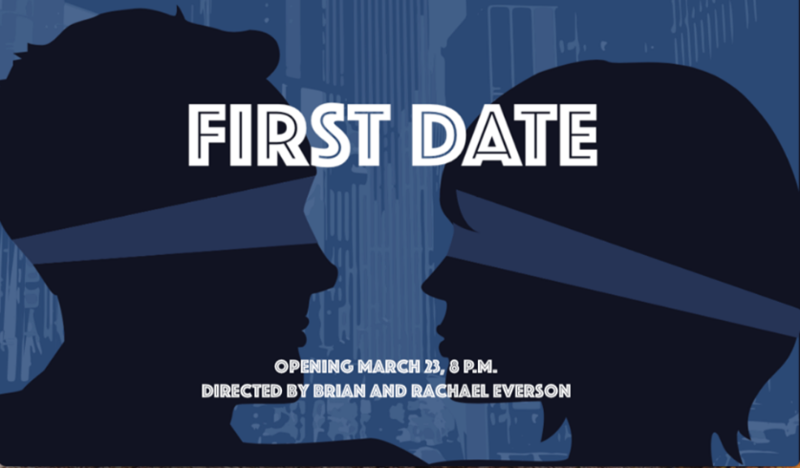 This short, sweet rom-com musical introduces us to artsy, edgy Casey (Christina Hernandez) and boring, businessy Aaron (Ryan Gilliam). They've been set up on a blind date and their meeting in a restaurant takes us through all the awkward stages from crushing one another's self esteem to Google background checks, to pre-planned bail-out calls, to wondering what to talk about next. GCT's cast also showcases the talents of Nichol Pritchard, Jimmy Hoxie, Court Nixon, Jess Brookes, Jason Eschhofen, and Joe Johnson. All I know about Saturday's special midnight show is that it's being described by cast and crew as "EXTRA raunchy," so bring your smelling salts. Daily Show writer Savid Javerbaum penned the comedy An Act of God, which gives the Supreme Being an opportunity to set the record straight on a variety of topics. Over the course of 90-minutes, the Good One discusses his famously mysterious ways, addresses longstanding misconceptions, weighs in on Adam and Steve, and pretty much lets it all hang out. 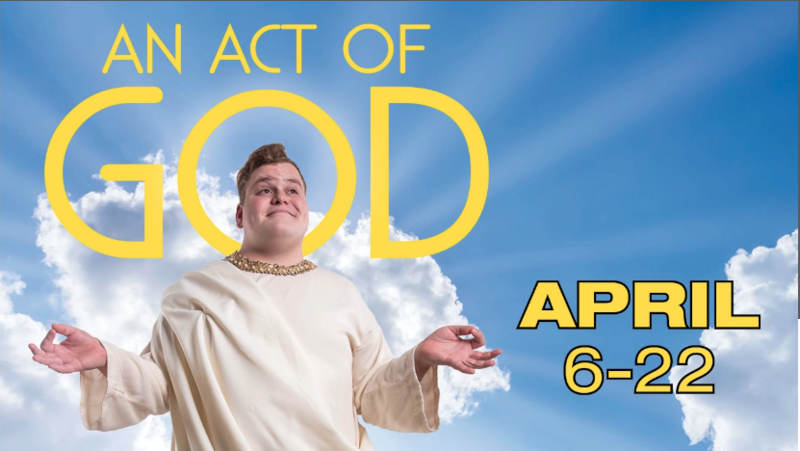 Theatre Memphis' NextStage production is directed by Cecelia Wingate and stars Kevar Maffitt as God with Jason Gerhard and Stuart Turner as the angels Gabriel and Michael. Bluff City Tri-Art Theatre Company is showcasing original works focusing on Memphis and the impact of Dr. Martin Luther King, Jr. BCTC Remembers reunites the 2-woman African-American comedy team Royston & O’Gray who wrote and toured together for more than a decade. Friends of George's presents Dragnificent 2018: Dragnificent Doo-wop with music from the ‘50s and ‘60s, original skits, production numbers, and group performances featuring the ensemble cast. The Opera 901 Showcase is about as Memphis as you can get without somebody grilling ribs on stage. 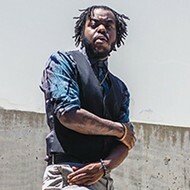 The lineup of short works includes "Formidable," which tells the story of a woman scattering her father's ashes in the Mississippi River and hip-hop artist Marco Pave's dystopian "Grc Lnd," about a future outbreak of Yellow Fever and a rising tide of activism. "A Pretty Little Room" is technically set in Bolivar at the Western State Hospital for the Insane, while "Going Up" — originally created by Opera Memphis as part of its Ghosts of Crosstown project — tells the story of an elevator operator working for Sears. "Kayfabe" is subtitled "A Wrasslin' Opera," and unites librettist Jerre Dye with composer, arranger, and old-school rocker Sam Shoup to tell the story of a pretty boy grappler called Face coming to grips with his personal demons — and the big bad heel. "This isn't about an actual Memphis wrestler. It's not about Jackie Fargo or Jimmy Hart," says Shoup, a veteran of MTV's weird video vanguard band the Dog Police and staff arranger for the National Symphony Orchestra at the Kennedy Center, New York Pops, and Memphis Symphony Orchestra. "But it is set in the Mid-South Coliseum in the 1970s. And let me tell you, it ain't Mozart. "I played in a lot of '70s rock bands," Shoup says, describing the opera's attitude and sonic texture. "This show is 15 minutes of pure fun." Speaking of fun, here's a little project Shoup did with Kallen Esperian — "The Immigrant Song."